There are many foods from the 1980s which are sadly no longer available, from Pacers and Galaxy Counters to the Creamola Foam drink I wrote about yesterday. One chocolate bar that has been brought back though isÂ Cadbury Wispa. There was a big campaign to bring this chocolate bar back, and whilst I enjoy it I don’t really see what the big deal is about it. Â Personally I preferred Aero. Â Did you have a preference? Creamola Foam! Â Oh, what a wonderful drink Creamola Foam was. Â I must confess I did think it was called Cremola Foam, but photographic evidence (of a particularly rusty tin) would prove otherwise. Anyway, Creamola Foam was a weird little drink made from coloured crystals. Â It came in a little metal tin, labelled with a boy and a girl drinking through straws. Â You had to prise the lid off with the end of a spoon, much like you used to have to do with Andrews Liver Salts indigestion powder, before they put it in a plastic bottle. You took a spoonful of the crystals and mixed it with water which caused the whole lot to go fizzy, again much like Andrews. Â Unlike Andrews however, you ended up with a foamy fruity mixture which you could then drink and enjoy, although have too much of it and it would probably give you a tummy ache – yet another point where it is unlike Andrews! I certainly remember orange, lemon and raspberry flavours, but there was apparently also apple, cola and cider varieties (I’m not sure how cider differed from apple, and I’m sure it wasn’t alchoholic being a kids drink). 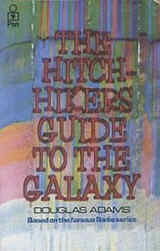 The Hitchhiker’s Guide to the Galaxy is a special book for me as it is the first non-childrens book I ever read. Â I remember finding a copy in the school library at primary school (which still amazes me today) and lapped it up. Â The image accompanying this post is the front cover of that book, although if you buy it today it’s completely different artwork. I mention the book first as this was my first encounter with Douglas Adams Hitchhiker’s universe, but as you can tell by the number of category icons this post has assigned the story has been adapted for many types of media. Â Indeed, there really should be another icon up there for “Radio” as that was where it all started! Douglas Adams, once script editor for Doctor Who (when Tom Baker was the Doctor) originally created The Hitchhiker’s Guide to the Galaxy in 1978 as a radio play for the BBC. Â In the story every day Earth man Arthur Dent awakes to find that his house is about to be demolished to build a bypass. Â Whilst attempting to stop this by lying in front of the bulldozers his friend Ford Prefect turns up, and tells him there are bigger problems and that he should go to the pub with him. 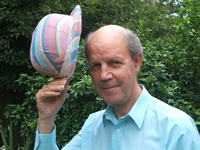 Over the years the wonderful children’s TV presenter Brian Cant has made some brilliant shows aimed mostly at the younger ages. Â He was a regular presenter on Play School and voiced puppet shows such as Camberwick Green and Trumpton. Â However there is one of his shows that appears to have been forgotten by most on the Interwebby, and this is Bric-A-Brac. Â Indeed, I couldn’t find any pictorial record of the show at all, so a picture of Brian will have to suffice! Bric-A-Brac was aimed squarely at pre-schoolers and was normally shown in the early afternoon on BBC2 regularly during the early 1980’s. Â Brian played the owner of a junk shop, hence the title of the show, who after welcoming you into his shop would scour the shelves to find items beginning with that episodes chosen letter of the alphabet. Â This was always amusing to little kids as Brian would first announce the letter (let’s say F for example) and would then make his way round going “What can we find that begins with fuh?“, with particular emphasis on the sound of the letter. I seem to recall that after finding a few items Brian would then read a short story about one of the things he found or would play some kind of guessing game with them. Â If he didn’t do this then I’m not sure what else he did to fill the ten minutes or so that the show lasted for. Quite often many of the things he found were wind up toys, and at the end of the show he would wind them up and let them bounce about as the end credits rolled. Â I do recall that the theme music was very short but fitted the show very well. Â It started with sounds of winding up clockword mechanisms and they played out a very short chorus on what I think was most probably a tuba. Before I get started I’d just like to acknowledge the OMGLists website for their list of seven of the worst eighties kids telephone hotlines, which is what gave me the idea for this post. 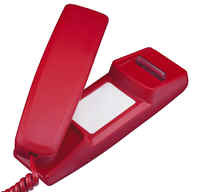 One of the less desirable things to have come out of the 1980s was the telephone hotline. Â It all began when telephone companies came up with the idea of the premium rate number. Â I’m sure there must be some legitimate use for these numbers but I’m sure you’ll agree with me that most of them are just money making schemes for unscrupulous companies. Back then there were two main markets that were targetted as consumers for these lines. Â One was the (ahem) adult (cough) market and the other was of course kids. Â Leaving that first category aside then (this isn’t that kind of site) we’ll concentrate on those hotlines aimed at children. On March 4th 1986 newspaper boss Eddy Shah revolutionised the UK newspaper market with the launch on Today. Â Before this publication came along newspapers in the UK were traditionally printed only in black and white, and were normally laid out using a system called Linotype. Â This way of printing involved making metal printing plates by assembling various letter moulds together by way of a special machine. Today changed all that in two ways. 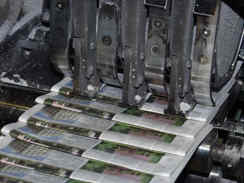 Â First, it allowed for printing photographs in full colour using a technique known as colour offset printing, not just those weird patterns of black dots that other newspapers were forced to use. Â This system is now used almost exclusively for the production of newspapers and magazines across the world. Secondly, it computerised the entire newspaper production process. Â Desktop Publishing packages were used to layout the newspaper articles and pictures, which allowed for more fancy ways of aligning text than the old Linotype machines. Â Most importantly though, once all the articles and pictures had been laid out the data could be sent straight to the presses for printing. Further thanks for Dan to bringing the Million Blog List to my attention. Â This is a project to see how long it will take to make a list of one million blogs! 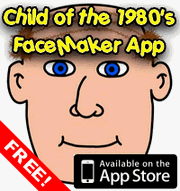 Â It’s been going since April last year so I thought I might as well add Child of the 1980’s on to help them along since they still have a bit of a way to go. There’s only one thing I don’t understand though. Â How come Retro Yakking is number 2402 when I signed up after Dan did?! Was Your Artwork Shown on Tony Hart’s Gallery? With the sad news that the great Tony Hart has passed away it got me wondering whether anybody reading this blog ever got their own piece of art shown during the Gallery section of one of Tony’s shows. Â I remember drawing a picture once intended for the Gallery, but I don’t think I ever got as far as sending it in, so it definitely never got shown to the nation. If anybody reading this did get a picture shown, then I’d love it if you could let us all know what you got for it appearing by posting a comment to this survey, as Tony always said “whilst we can’t returned any of your pictures, there is a prize for any that are shown“. Â I heard it was a pack of colouring pencils, but it would be interesting to know for sure. Did you ever get a picture shown in Tony Hart's Gallery?